Microsoft Calling Plans for Office 365 is Now Generally Available in Canada - AOShield Solutions Inc. - It's Time for Sharp I.T. Solution ! Recently, Microsoft announced that as of May 1, 2018, Calling Plans for Office 365 are now generally available in Canada. This announcement is quite exciting, because of the many benefits that can come from adopting a Cloud-based PSTN system within your organization. Some of the benefits of Calling Plans for Office 365 include significant cost savings, lower maintenance requirements, and a definite improvement in mobility. This announcement from Microsoft has also opened the floodgates when it comes to questions, so, to assist you in deciding if Calling Plans for Office 365 is right for you, this post aims to explain what Microsoft Calling Plans for Office 365 are and provide answers to some of the most frequently asked questions about Microsoft Calling Plans. It will also help you understand the first steps you need to take to get started. What Are Microsoft Calling Plans for Office 365? Microsoft created Calling Plans for Office 365 to provide organizations that have a traditional on-premises “landline” with a completely Cloud-hosted PSTN solution. This solution marries traditional PSTN calling with Voice-over Internet protocol (VoIP) technology. Microsoft’s Calling Plans for Office 365 is available through the Skype for Business or Microsoft Teams. It assigns a primary phone number to everyone in your organization, which they can use to make and receive calls, through the Internet. In other words, your organization can now ditch the cumbersome, on-premise structure and move your organization to a sleeker Cloud solution that lets you make and receive calls from your PC, handset, or mobile device. With Microsoft Phone System and Calling Plans, you’ll have no need to purchase on-premises equipment anymore, leading to a significant cost-savings for your organization. 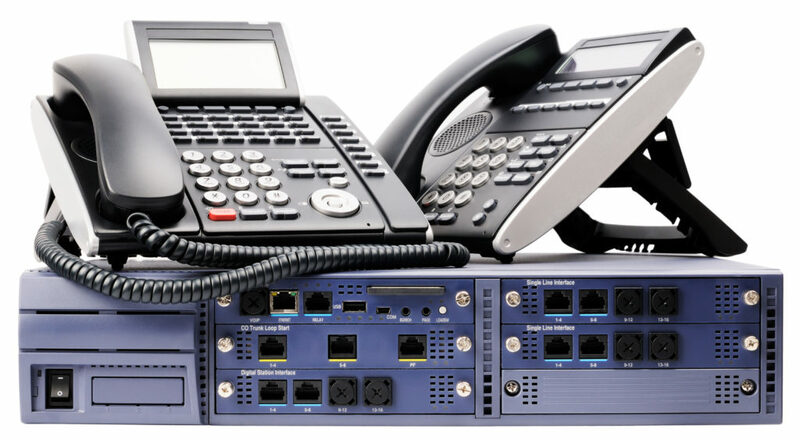 This greatly reduces the up-front costs of a traditional on-premises phone system. Microsoft Calling Plans removes the need for yearly support contracts with organizations like Bell, Rogers, or TELUS to maintain your phone system. With Microsoft Calling Plans and Phone System, you no longer need to maintain your own phone system. Because it’s Cloud-based, it’s backed by Microsoft’s 99.9% Service Level Agreement, which guarantees 99.9% uptime. With Microsoft Calling Plans, your number travels with you wherever you go – whether you’re on your computer, handset, or mobile phone. You’ll have a single number for users to get a hold of you, whether it rings to PC, handset or mobile device. Microsoft Calling Plans eliminates the need to purchase traditional handsets, however, if you prefer the feel of a traditional handset, you can still use one. Q: If we implement PSTN calling in our organization, do we still need landline service from our current telecom company? A: No, you don’t need to use your landline from your current service provider. Microsoft Calling Plans for Office 365 can replace your current landline service, often at a significantly reduced rate. Q: What are the different Microsoft Calling Plans options? Domestic Calling Plan (for 120 minutes): a small package that’s best for organizations who will only occasionally be using Skype or Teams to communicate. Domestic Calling Plan (for 3,000 minutes, or the equivalent of 150 minutes/day): this standard package allows the end user to place calls with outside parties (i.e. other organizations within Canada/USA) on a regular basis. Domestic & International Calling Plan (3,000 minutes and/or 600 international minutes): this option is best for users that are required to call internationally on a regular basis. The minutes are pooled for everyone at a particular SKU and geography. This is by design, and at the request of customers. For example, 100 users at the 3000 minutes per month plan in Canada would have a pool of 300,000 minutes per month. Given the nature of people being on vacation, absent, or simply not using their minutes, this is a great way to get the full value out of your minutes. Q: How much do the Microsoft Calling Plans options cost? Q: How much can I expect to spend on Microsoft Calling Plans? A: This is entirely dependent on the core license you choose (Enterprise E1, E3, or E5). Enterprise E5 has the Microsoft Phone System (formerly known as Cloud PBX) and Audio Conferencing currently built into the $44.20 CAD/user/month price tag, so all you need to do is add the calling plan of your choice. With Enterprise E1 or E3, however, you’ll need to add Microsoft Phone System to your core license for $9.70 CAD/user/month, and decide if you want or need to add Audio Conferencing, too (which is an additional $4.86 CAD/user/month), before you determine which Calling Plan suits your needs. Q: Our organization’s in Canada, but we are frequently calling our customers in the United States. Do we need to sign up for the international plan? A: No! A useful feature that Microsoft is offering is that any calls made between a Canadian and a U.S. user (in both directions) is considered a domestic call. This option helps you further control costs for your organization. Q: What Office 365 licensing do I need to add Microsoft Calling Plans? A: Microsoft Phone System is included with Office 365 Enterprise E5 licenses (you just have to pay for the Calling Plan that suits your organization), and available for an extra charge with Office 365 Enterprise E1 and E3. Q: To access Calling Plans, do I need to use Skype for Business or Microsoft Teams? A: Calling Plans work with both Microsoft Teams and Skype for Business. Transitioning between the two systems is also relatively easy, so if you start off using Skype for Business and need to switch to Teams, you can. Q: I’m an established business, so keeping my current phone number is important to me. Is this possible with Microsoft Calling Plans? A: Yes! with Microsoft Calling Plans, you can easily transfer your phone numbers from your current service provider to your new Microsoft Phone System. Once you’ve done so, Microsoft will become your service provider and will bill you for those phone numbers. Q: Where are Microsoft Calling Plans currently available? A: Microsoft supports Calling Plans in Belgium, Canada, France, Germany, Ireland, Puerto Rico, Netherlands, Spain, the United Kingdom, and the United States, and is currently in preview mode in Australia. Like what you’ve read? Interested in Microsoft Calling Plans? Want to see if Microsoft Calling is right for your organization? The first step in your journey is to do an assessment of your IT network and telephony infrastructure, which will help you determine how your organization can benefit from implementing a Microsoft Calling solution. Once you’ve assessed your infrastructure, you’ll have a better understanding of your capabilities, such as your incoming and outgoing call requirements, what your voice traffic looks like today, how many primary rate interfaces (or phone lines) you have, what your long-distance consumption looks like, and whether your current internet bandwidth can support VoIP. If your organization has a legacy PBX contract with a major telco (like Bell, Rogers or Telus) that’s about to expire or is coming up for renewal, now’s the perfect time for you to consider whether or not Microsoft Calling Plans is right for you. The first step in this journey is to do a discovery workshop that includes an assessment of your IT network and telephony infrastructure, to determine how exactly your organization can benefit from implementing a Microsoft Calling Plans solution. At AOShield we can help assess your environment and provide you with all the licensing required to deploy a Microsoft Phone System for up to 5 users within your organization at no cost for 60 days. This will allow you to properly evaluate this great solution from Microsoft. previous post: Workplace 2.0 is here. Are you ready?